The history of the Air Arm is but a recent episode of the centuries-old Spanish Navy. It nevertheless shows once again that the advances and accomplishments of this institution are achieved thanks to the leadership, enthusiasm, dedication and efforts of many officers, non-commissioned officers and sailors who, with a great spirit of service, knew how to overcome difficulties and worked as a team to achieve the new goals. It also highlights the great vision the Navy had anticipating the development of a new capability: the embarked aviation. A capability that has proved to be fundamental in the development of naval operations. These paragraphs will briefly explain the difficult beginnings of naval aviation, its brilliant participation in the first aeronautical landing in history: that of Al Hoceima Bay, and the subsequent loss of the air capability after the Spanish Civil War and its enthusiastic rebirth after 1954, ending with an overview of the current Aircraft Flotillas. Naval Aviation began to take its first steps, hand in hand, with military aviation in 1912 when a group of Navy officers were trained as pilots and observers in the Air Force Academy of ‘Cuatro Vientos’ Air Base. However, its definitive training took place on September 15 1917 by virtue of a Royal Decree signed by King Alfonso XIII. This decision was taken by the Government as a consequence of the lessons learned in the aero-naval field during the First World War, and its possible application to the military operations that Spain was conducting in North Africa against Riff tribes. This Royal Decree established three guidelines for the development of the new capability. In the first place, the creation of a Naval Aviation School for personnel training; secondly, the establishment of a factory for the construction of the necessary naval air material and, finally, the creation of three aeronautical stations in Cádiz, Ferrol and Cartagena. In April of 1918 the Naval Staff entrusted the responsibility of organizing the Naval Aviation to Lieutenant-Commander Pedro María Cardona, the true forerunner of the current Air Arm and an officer of confirmed talent and work competence. The first decision of Lt-Cdr. Cardona was to temporarily establish the Naval Aviation School in Barcelona, on the grounds of the ‘Volateria’ airfield, (now the ‘El Prat’ airport), since the construction of the new school in what is now the ‘San Javier’ Air Base was delayed due to different administrative difficulties. In addition, other smaller airfields were built in Mahón (Menorca), Marín (Pontevedra) and Mar Chica (Melilla). In 1920 the Naval Aviation Bureau was created within the Navy General Staff to promote the development of this new capability and, with limited initial loans, Lt-Cdr. Cardona set out to acquire the necessary equipment. In a short time three ‘Avro 504K’ aircraft were received for pilot training. They were very versatile models capable of operating with wheels or glides, also as bombers. Two Martinsyde F-6 ‘Buzzard’ fighters were also procured for reconnaissance and bombing missions. But then the need to acquire seaplanes to operate from the sea was raised, and the choice fell on an Italian aircraft ‘Macchi’ M-18 which began to operate from the port of Barcelona. After frantic initial activity employing foreign instructors, the first course for naval pilots began in 1921. Furthermore, and given the need to provide an adequate military response to the unfortunate events of the ‘Annual Disaster’, the readiness of Naval Aeronautics was given a decisive push, by procuring a vessel that allowed the deployment and logistic support of seaplanes. Thus, at the end of 1921 the Ministry of the Navy received a German steamer delivered to the Spanish Government as war compensation for the losses suffered by our merchant marine during the Great War. It was named ‘Dédalo’ and, after a complete overhaul, the ship entered service in May 1922. It should be noted that the ‘Dédalo’, in addition to being the first aircraft carrier of the Spanish Navy, was the first ship capable of simultaneously operating semi-rigid airships, captive balloons and up to 20 ‘Macchi M-18’ seaplanes. In just five years, and despite the enormous technological, financial and operational challenges, the Spanish Navy was able to develop its own naval capability. In those first years, the aircraft flotilla was also strengthened with the acquisition of five F-3 ‘Felixtowey’ seaplanes and the construction under license of half a dozen ‘Savoia’ S-13 seaplanes of Italian origin in Barcelona. This mixed model approach to the acquisition of aircraft and air equipment proved to be quite efficient: buying abroad taking advantage of the low prices due to the surplus of airplanes after World War I and, on the other hand, support the national industry in certain technically viable projects. The first combat actions of the Air Arm occurred in August 1922 when the ‘Dédalo’ deployed in the coast of Africa to participate in the Moroccan Campaign. Commander Cardona was in command of the first combat operation which took place on August 6, 1922, when lieutenants Francisco Taviel de Andrade and Julio Guillén, piloting a ‘Macchi M-18’, bombed different enemy positions. The first campaign of the ‘Dédalo’ in Morocco resulted in more than 125 combat sorties per pilot, and although her contribution to success was limited, it fully demonstrated the potential of this new capability. During 1923 and 1924 the Air Arm continued growing with new training courses, procurement of new material, such as the ‘Supermarine Scarab’ and the ‘Macchi-24’, and participating in different operations in North Africa. Moreover, the Air Arm had the privilege of participating -for the first time- in the ‘Gordon Bennet Cup’, a very prestigious and demanding airship competition where the Spanish ‘Hesperio’ finished fourth demonstrating the high training level the crew. Finally in 1925, the landing of ‘Al Hoceima’ was considered the first naval airlift in history. On this occasion, the ‘Dédalo’ and the different types of seaplanes, participated in an intense offensive action during the landing, bombing enemy positions and weakening their defenses both on the beach and in the surrounding mountains, significantly contributing to the success of the operation. The end of the war in Africa in 1926 was the opportunity to concentrate efforts on reorganizing the Air Arm, abandoning its facilities in Barcelona and moving to the new base in San Javier. In addition, the updating of the material continued, procuring modern ‘Dornier Do J Wall’ seaplanes built by the national company ‘Construcciones Aeronáuticas’ S.A. (CASA) in its Cádiz factory, the beginning of the indigenous aeronautical industry. It was one of these ‘Dornier Do J Wall’ Plus Ultra, which completed the first flight to cross the South Atlantic, with participation of Lieutenant Juan Manuel Durán González. The advent of the Republic in 1931 brought about the grouping of civil, military and naval aviation into a new body known as the General Directorate of Aeronautics. In those years another milestone of military aeronautics took place: the landing of the ‘Cierva’ auto-gyro on March 7 1934 on the deck of the ‘Dédalo’, the first landing in the world of a rotary wing aircraft aboard a ship. Thus we arrive at the beginning of the Spanish Civil War in 1936, when Naval Aeronautics was at a high level, as regards of both, the expertise of naval pilots and the number of aircraft, although it is true that the ‘Dédalo’ was no longer operational at that time and some equipment were obsolete. The Spanish Navy operated twelve squadrons amounting to about a hundred aircraft, some of them the most modern units of the time, like the torpedo launching CASA ‘Vickers Vildebeest’. With the outbreak of the Civil War the military and naval aviation were unified under just one single command and at the end of the conflict in 1939 the Spanish Air Force was set up which meant the total disappearance of the Navy's air capability. From its creation until its dissolution in 1939, the navy personnel showed its ability to develop a full-fledged naval aviation department, overcoming a myriad of financial, technological and operational problems. In those years the Naval Air Academy managed to train about a thousand men, and 121 officers were qualified in the different branches of the specialty. These were the officers, non-commissioned officers and sailors who paved the way for future generations of air crews decades later. The only available air unit in the Spanish Navy in the period that goes from 1939 to 1954, was the ‘Heinkel He-114A’ seaplane operated by the Spanish Air Force as part of the so-called ‘Cooperation Aviation’ and embarked on the light cruiser ‘Miguel de Cervantes’. In those years the ‘Cooperation Aviation’ was responsible for managing the air support needed by the Navy. However, the technological and material isolation to which Spain was subject after World War II resulted in a total lack of adequate means. The signing of the Agreement on Military and Economic Cooperation with the United States on September 26, 1953 broke the isolation of Spain and opened an excellent opportunity for the Spanish Armed Forces in general, and the Navy in particular, to renew their equipment and procure new capabilities, including the embarked aviation. In those years the helicopters were beginning to play an increasing role in military operations, but there were not any in our country. The American company ‘Bell Helicopter Corporation’, one of the main world manufacturers of light helicopters, made an offer to the Air Force, but the Air Minister rejected it. But then, the Minister of the Navy took the opportunity and with the consent of the Council of Ministers purchased three ‘Bell-47’ light helicopters. After attending courses organized by ‘Bell’ at its facilities, the first helicopter pilots arrived in Spain. They were Lieutenant-Commander Miguel Brinquis and Lieutenants Eliseo González and Francisco Mola accompanied by a first batch of mechanics: Mr. Emilio Zarrabeytia and Mr. José Casal. This small group was sent to the Naval Academy in Marin, where the new helicopter unit was located. It was initially called ‘Helicopter Group’, and decades later, ‘Aircraft Flotilla’. On January 1, 1954, the three helicopters purchased by the Navy -but assembled in Marín by the aforementioned technicians- arrived from the port of Vigo and planted the seed of the future teams of excellent aircraft maintenance engineers that developed one of the most important pillars of the Flotilla. The maiden flight of these helicopters took place from a sports field on the morning of June 19, 1954. Already in the year 1955 another very important event took place when a ‘Bell-47’ helicopter landed for the first time on a Navy ship while underway. A wooden platform was installed in the aft section of tug ‘RR-29’, and a series of take offs and landings were successfully conducted with the vessel anchored first and then sailing. The pilot was Lieutenant González Mosquera and the Navy, seeing the results and the potential capability of the helicopter, decided to purchase another batch of three choppers. It was at that time that Lieutenant-Commander Saturnino Suanzes de la Hidalga, then Commanding Officer of destroyer ‘Lazaga’, a unit based at the Naval Academy for midshipmen, who discovered the potential of naval aviation and was appointed student of the second group of pilots. From that moment Lt-Cdr. Suanzes devoted a good part of his career to reinforce and enhance the Air Arm; in this sense it must be said that if Cardona was the original mentor and promoter of Naval Aeronautics thanks to his dynamism and spirit of work, the same could be said of Admiral Suanzes with respect to the current state of the Air Arm. Thanks to his endeavors, and that of many others along with him, the revival of naval aviation was definitively consolidated. As has already been said, the signing of the Cooperation Agreement between Spain and the United States represented a very important instrument in the development of the Navy and its embarked aviation. It must be remembered that the signing of the Agreement took place in a moment of confrontation between two powers (USA and the USSR) and the geostrategic position of Spain had an unquestionable importance for the United States which wanted to contain the expansion of the Soviet fleet in the Mediterranean Sea. Thus it is not surprising the interest of the United States in building a naval base in Rota (SW Spain) allowing them to control the Strait of Gibraltar and its approaches, and boost cooperation projects with the Spanish Navy to enhance -among other things- its anti-submarine warfare capability. 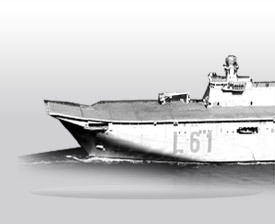 It is in this context that seven medium-size ‘Sikorsky’ S-55 helicopters were purchased for anti-submarine warfare and, in 1957, the ‘Helicopter Group’ was transferred to Rota Naval Base, at that time under construction. The transfer was a great advantage for the development of naval aviation since, together with the greater space available and better weather conditions, it was nearer USA military facilities which, over the years, had become a reference for the Spanish Navy and its naval aviation. That same year, the Helicopter Bureau was set up in the Naval Staff Headquarters to manage all the affairs of the ‘Helicopter Group’. But the Navy was not the only Service ready to enhance its antisubmarine capability; the Spanish Air Force also created in 1961, the 601 Squadron, based at Jerez de la Frontera Air Station, equipped with the American anti-submarine ‘Grumman Albatross’ aircraft. Since then, Navy personnel have served in this unit as Navigators and Tactical Coordinators. In Rota Naval Base, the Helicopter Flotilla was established with the 1st Squadron (‘Bell-47’ helicopters) and the 2nd Squadron (‘Sikorsky S-55’) in 1963, with the idea of unifying all the units and facilities. Once the Helicopter Flotilla was created, the plans of the General Staff to increase and improve material and equipment alike continued enhancing some other capabilities like sea control and anti-submarine warfare. It was subsequently decided to procure four ‘Augusta Bell-204’ helicopters that made up the 3rd Squadron in 1964. That same year, and with great foresight, it was decided to procure six units of what has unquestionably been the best anti-submarine helicopter in history, the ‘Sikorsky SH-3D Sea King’. Soon afterwards, in February 1966, the 5th Squadron was formed with the ‘Sea Kings’. The staff of the unit was so impressed by the aircraft that they nicknamed them Sacred Cows and were given the well-known call sign ‘Morsa’ (Walrus). There is no doubt that the technical complexity, both of the aircraft and its systems, represented a very important technological leap forward for the Helicopter Flotilla, requiring a deep renovation of work procedures for flight crews and maintenance technicians. Given the growing importance of embarked aviation, the Air Arm was created in April 1964 substituting the Helicopter Bureau with its main Air Station in Rota Naval Base. The goals of the Spanish Navy as regards the Air Arm were not confined to anti-submarine helicopters as it intended to have an aircraft carrier with fixed-wing airplanes. The US Navy transferred the former light carrier ‘USS Cabot’ to the Spanish Navy -the ‘Dédalo’- which was the Navy’s flagship until the commissioning of the Spanish-designed aircraft-carrier ‘Príncipe de Asturias’ in 1988. To advance in the second goal of operating fixed-wing aircraft, four small planes Piper ‘Comanche’ were procured, with which the 4th Aircraft Squadron was formed in 1964. Despite the insistence of the Navy, the authorities of the Spanish Air Force did not allow them to be registered and could therefore not operate as such. The situation lasted several years until the VTOL ‘Harriers’ joined the Navy in 1976. It was not then until 1977 -twelve years after their acquisition- that the four Piper aircraft were registered as Navy aircraft. The Piper ‘Comanches’ were just an excuse for the Navy to get authorization to operate fixed-wing aircraft, since, in those years, the General Staff had been following with interest the British program for a new vertical take-off and landing aircraft, the Hawker Siddeley ‘Harrier’, which was operational with the UK Air Force at the end of the 60’s. Aware of the potential of the new aircraft, the Spanish Navy managed to get the approval of the Council of Ministers in 1972 for a demonstration on board the ‘Dédalo’. The successful trials took place on November 8 of that year northeast of Cape Creus, when the test pilot of the British company John Farley made the first landing of a ‘Harrier’ on the ship. Shortly afterwards the Navy obtained authorization from the Government for the procurement of the first eight ‘Harriers’. In 1973 the 8th Aircraft Squadron was created to receive the new aircraft and an initial group of pilots and technicians was sent to the US for training. Finally, on Christmas Eve of December 1976, the ‘Dédalo’ docked in Rota Naval Base with the first seven ‘Harrier’ AV-8A aircraft, dubbed ‘Matador’ in Spain. The Navy had once again achieved the dream of operating embarked airplanes, and the ‘Dédalo’ changed her name from helicopter carrier to aircraft carrier. That same year, the name of the Helicopter Flotilla was also changed to that of Aircraft Flotilla, to semantically welcome the newly inaugurated 8th Squadron. As of 1976, the Aircraft Flotilla has adapted to fulfill the missions entrusted, either by updating its Squadrons or by creating new ones to incorporate new helicopters or airplanes. In this development we have seen the disappearance of the 1st, 2nd, 7th and 8th Squadrons and the formation of the 9th, 10th and 11th Squadrons. Besides, the Navy operated the aircraft carrier ‘Prínce of Asturias’ first, and then her replacement, the LHD ‘Juan Carlos I’. The 3rd Squadron with seven ‘Augusta Bell 212’ incorporated at the end of the seventies to conduct surface and anti-submarine warfare missions. At the end of the 1980s, these helicopters were upgraded turning them into the main elements for tactical transport of troops and are currently undergoing a process of life extension and modernization with new mission systems that will enable them to effectively carry out surveillance and maritime security missions on board offshore patrol vessels. Thanks to the operational versatility and flexibility of this helicopter, 3rd Squadron units have participated in most naval operations, accumulating more than 90,000 flight hours. The 4th Squadron, which has gone from the old turbo-prop ‘Piper Comanche’ to modern ‘Cessna Cittation II’ and a ‘Cessna Cittation VII’ jets, has as its main missions, maritime surveillance and logistic support. It has contributed to the support of many operations abroad like ‘Libertad Duradera’, ‘Libre Hidalgo’, etc. with more than 45,000 flight hours. The 5th Squadron, established in the late sixties to provide high-performance anti-submarine warfare helicopters, currently operates ten SH-3D ‘Seaking’ helicopters that were modified and upgraded in 2002 to carry out its new main mission; namely tactical transport of troops. This helicopter, thanks to its high performance and cargo capacity, has been fundamental in all the operations where the Spanish Navy has participated. Moreover, and due to its all-weather search and rescue (SAR) capability, these helicopters have managed to save the lives of many people in danger. The Squadron has accumulated more than 100,000 flight hours and is a constant example of professionalism and good work. The 6th Squadron, with its ‘Hughes 500’ choppers, was originally made up in the 70’s to provide the veteran ‘Churruca’-class destroyers with a submarine detection capability. Since then, they have also undergone a modernization program to adapt them to their current mission of naval air training for helicopter pilots. Additionally, they likewise significantly contribute to the execution of other important Navy courses such as helicopter air controllers at sea. The 9th Squadron was set up in 1987 to receive the VTOL AV-8B ground attack ‘Harriers’. In 1996 these Harrier were replaced by the enhanced version called AV-8B Plus that were developed in cooperation with the United States, Italy and the United Kingdom; the national aeronautical industry (CASA) played an important role in the manufacture of this aircraft in its Seville factory. The AV-8B Plus is a modern all-weather ground attack aircraft that constitutes one of the pillars on which the Navy's projection capability rests, having completed more than 50,000 flight hours. The 10th Squadron, with its Sikorsky SH-60B helicopters, represents the essential complement of our escorts: the ‘Santa María’-class (F-80) and the ‘Álvaro de Bazán’-class (F-100) frigates. Thanks to their LAMPS (Light Airborne Multipurpose System), that allows the exchange of data in real time, the sensors of the helicopter are an extension and a complement of the combat capabilities of the ship and her CIC (Combat Information Center). Six units were procured in 1988 and a further batch of six new units in 2002. The Squadron has joined all the operations where the Spanish Navy has participated and so far it has accumulated more than 50,000 flight hours. The 10th Squadron is proud that His Majesty King Juan Carlos I made a flight from the aircraft carrier ‘Príncipe of Asturias’ in April 1994. King Felipe VI received his badge of Naval Pilot in a ceremony celebrated on February 14, 1997, after piloting one of these SH-60B helicopters. He has subsequently piloted this helicopter on different occasions accompanied by his promotion classmates. The 11th Squadron created in 2014 to include Remotely Piloted Aerial Systems currently operates the ‘Scan Eagle’ unmanned air vehicle. These systems multiply the capability of our vessels in surveillance and reconnaissance operations at a much lower cost than an aircraft. Although it is the newest squadron of Aircraft Flotilla, its units have already participated in real missions. The 11th Squadron also integrates the systems of the former ‘Targets for Naval Gunfire Group’ set up back in 1958 to provide, manage and maintain self-propelled and towed aerial targets in support of naval firing exercises. Apart from the Squadrons, the Flotilla employs Air Groups that the Navy embarks whenever different types of controllers are needed to conduct air operations. On the other hand, and in order to warrant the adequate operation of all these air assets, the Flotilla has numerous support units such as the Second Maintenance Echelon where most preventive and corrective maintenance tasks are executed. There is also a Simulator Department with the necessary systems for training -in simulated environments- of flight crews, controllers and mechanics, all of them essential for the proper operation of the Flotilla. As it has already been said, the Aircraft Flotilla has participated in many real operations on board Spanish Navy ships like, among others, Operation ‘Sharp Guard’ in 1993 with helicopters from the 3rd and 10th Squadrons to implement the naval embargo in former Yugoslavia; Operation ‘Alfa-Charlie’ in 1998 providing assistance to large areas of Honduras, Nicaragua, El Salvador and Guatemala in the aftermath of Hurricane ‘Mitch’ with helicopters of the 3rd Squadron from the LPD ‘Galicia’; Operation ‘Enduring Freedom’ in 2002 in response to the 9-11 attacks, with helicopters from the 3rd, 5th and 10th Squadrons; Operation ‘Solidarity Response’ in 2005 providing humanitarian aid to Indonesia with helicopters from the 3rd Squadron on board LPD ‘Galicia’; Operation ‘Free Hidalgo’ in 2006 in the Lebanon to monitor the ceasefire between the local contenders with helicopters from the LPD ‘Galicia’ (5th Squadron); Operation ‘Althea’ in 2008 and 2009 in Bosnia Herzegovina with the deployment of two SH-3D ‘Sea-Kings’; the humanitarian aid Operation ‘Hispaniola’ in Haiti after the 2010 catastrophic earthquake with helicopters from the LPD ‘Castilla’ (3rd and 5th Squadrons); and the international anti-terrorist Operation ‘Active Endeavor’ in the Mediterranean, the EUNAVFOR counter-piracy Operation ‘Atalanta’ in the Horn of Africa and the EUNAVFORMED Operation ‘Sophia’ fighting the illegal trafficking of people. This is a brief history of the origins and current situation of the Aircraft Flotilla, a technologically advanced unit, which provides our Navy with an essential operational capability to successful carry out the entrusted missions.